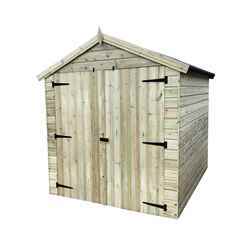 The Apex shed has ledged braced doors. 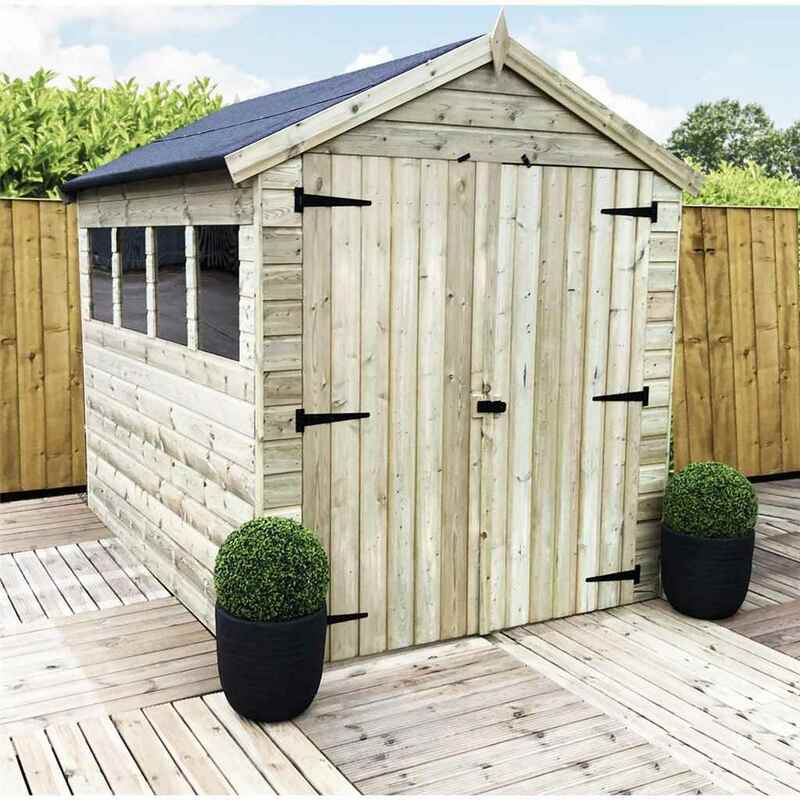 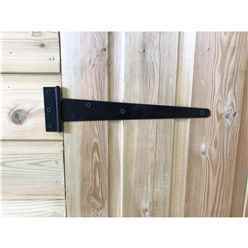 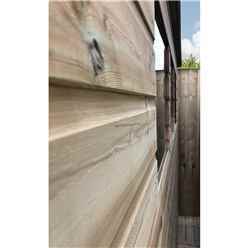 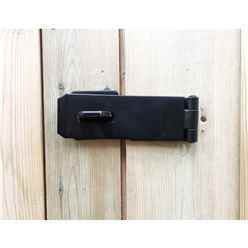 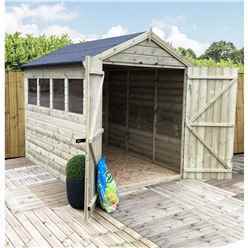 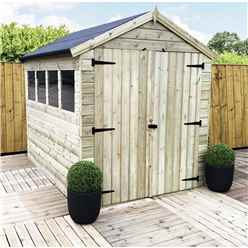 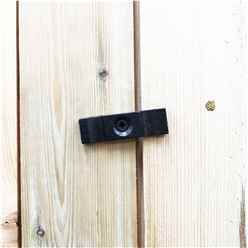 The Apex shed comes with double doors; 12mm pressure treated shiplap tongue grove cladding; 28mm x 44mm planed rounded framing. 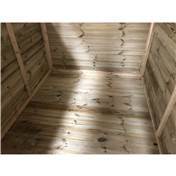 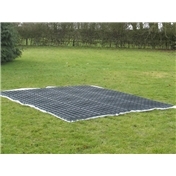 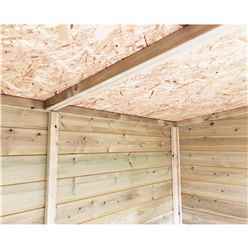 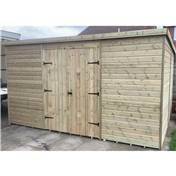 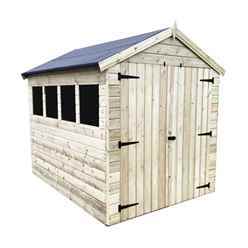 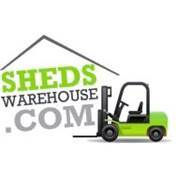 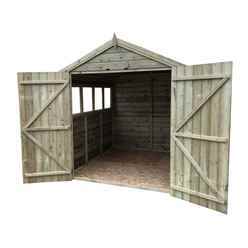 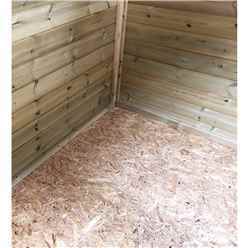 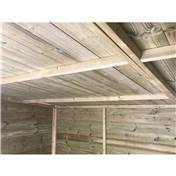 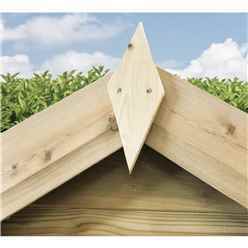 This Apex shed comes with Solid OSB Floor and Roof and mineral roofing felt and full fixing kit and instructions.